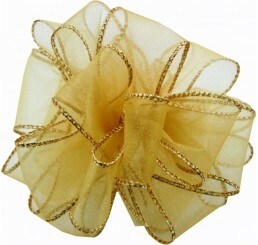 #40 Flora-Satin® Pull Bows; 2.5" Ribbon - 8" bow with 20 loops Sold by the case of 50 pcs - ..
#40 Sheer, Wired-Edge Ribbon-Gold; 2.5" x 50 yards Closeout Pricing! 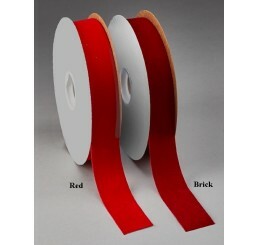 Regularly $8.99 each ..
#40 Sheer, Wired-Edge Ribbon-Red w/Gold; 2.5"x 50 yardsd Closeout Pricing! 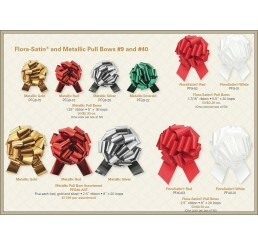 Regularly $8.99 each ..
#40 Veltex® Burgundy Velvet Ribbon; Flocked Velvet with Polypropylene Backing 2.5" x 25 yard..
#40 Veltex® Red Velvet Ribbon; Flocked Velvet with Polypropylene Backing 2.5" x 25 yards ..
#9 Flora-Satin® Pull Bows; 1-7/16" Ribbon - 5.5" bow with 20 loops Sold by the case of 50 pcs - 1..
#9 Metallic Pull Bows; 1.25" Ribbon - 5" bow with 16 loops Sold by the case of 50 pcs - 1 color p..
#9 Sheer, Wired-Edge Ribbon in Gold; 1.5" x 50 yards Closeout Pricing! 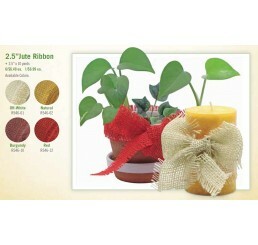 Regularly $6.49 each ..
#9 Sheer, Wired-Edge Ribbon-Red with Gold Edge; 1.5" x 50 yards Closeout Pricing! 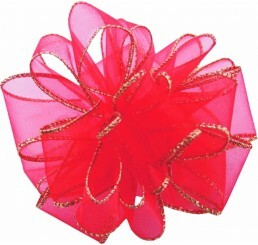 Regularly $6.49..
#9 Veltex® Burgundy Velvet Ribbon; Flocked Velvet with Polypropylene Backing 1-7/16" x 25 yards ..
#9 Veltex® Red Velvet Ribbon; Flocked Velvet with Polypropylene Backing 1-7/16" x 25 yards Clo..
#9 Veltex® Red Velvet Ribbon x 100 YDS. 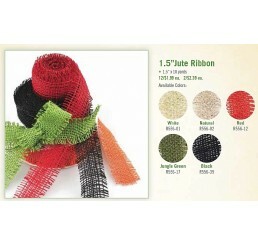 #9 Veltex® Red Velvet Ribbon; Flocked Velvet with Polypropylene Backing 1-7/16" x 100 yards Cl..
Jute Ribbon; 1.5"x 10 yards **CLOSE-OUT PRICING** Regularly 12/$1.9..
Jute Ribbon; 2.5" x 10 yards **CLOSE-OUT PRICING** Regularly 6/$6.49 ..
Baker's Twine; 100 yard spool CLOSE-OUT PRICING. 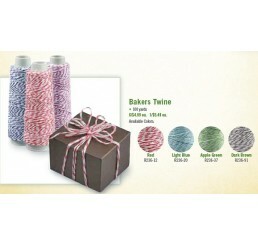 Regularly 6/$4.99 ea. ..